I'm baaack. It's been a bit since I've posted and I'm sorry about that. I was a rough couple of days and I just couldn't get out of this funk I was in. UNTIL...today! It feels like a weight has been lifted off of my shoulders. God knows just the right time to open up that door. For a while I have been feeling trapped or complacent. For anyone that knows me, I HATE this feeling and it starts to make me a little cray cray. Poor Brett, I love him so much because he will listen to me cry, yell, and complain and he never makes me feel like I just have to be quiet and deal with my situation. As he says, this is just a blip on your radar, a bump in the road. I've been struggling to really find out what it is I want to do in life. Well today, I realized that with enough determination and perseverance, YOU can make your life anything you want it to be. It's all about taking baby steps, at least for me it is. I have to start somewhere and today (I'm crossing my fingers) was the phone call that will help me start my life. The REAL life that I want to lead. Okay, so the picture doesn't really do it justice, but OMG! It looked so awesome in the store. 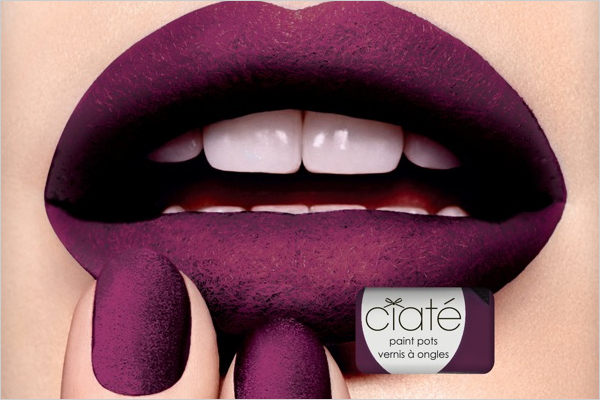 Its called Ciate Velvet Manicure. While I wasn't able to try it because my nails were just perfectly manicured several days earlier, I did some research to see how easy (or hard) it was to achieve the look. To begin it's a two step process so for those of you who are just "one and doners"--I'm sorry. First, you apply the color, which comes in a paint pot with a small bristled brush. 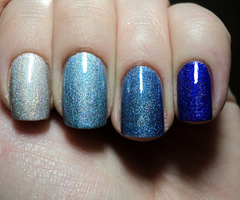 Then, you sprinkle a generous amount of crushed velvet to each nail before it dries. You simply sweep your nail clean to rid you nail of excess velvet. Um, hello? That to me, sounds like the easiest at home mani ever! For those of you that have tried it, how was it? For those of you that are going to try it, let me know how you like it!